Creamy Mami and a friend of hers, Miya-Chan, explore a forest. The two of them try to enter a cave of some sort, but it requires magical powers to proceed. After transforming, Miya appears to have went away. Suddenly, a flower is placed over Creamy Mami's face and she falls asleep. Counting this as a 'chloroform' scene. Great scene from a 1980's anime! 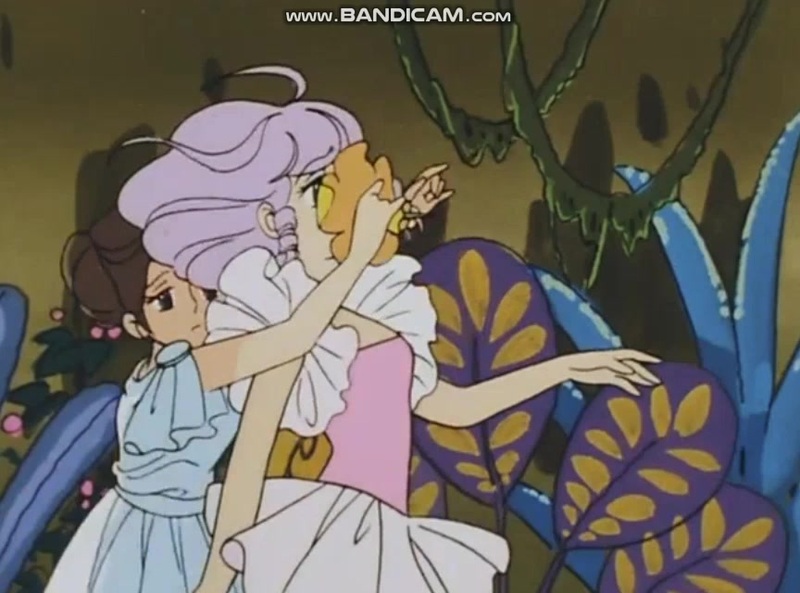 [Creamy Mami has a traditional chloroform scene in episode 37](/clip/view/creamy-mami-37).